When the curtains came down on the 2017 Jamaica Seniors and Veterans Championships (William Roper Memorial trophies) on Sunday, August 20 at the Jamaica Olympic Association there was a new Jamaica Veterans Champion. Seven-time Jamaica (Absolute) Champion and favourite FM Shane “The Magician” Matthews notched 7 points from a possible 8 (with 6 wins and 2 draws) to remain unbeaten and win the tournament outright and claim his first national Veterans title. NM Geoffrey Byfield finished second (6.5 points), while dethroned two-time defending champion Ian Wilkinson QC was third (5.5 points). Finishing fourth was six-time Jamaica (Absolute) Champion IA CM Robert Wheeler (5 points) who retained his national Seniors title – his third crown in as many attempts. Geoffrey Byfield (left) took 2nd place in the Seniors. 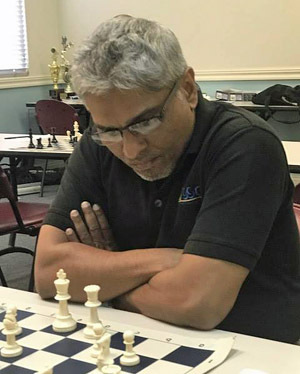 Matthews and Wheeler have earned the right to be Jamaica’s official representatives at the World Senior Chess Championships set for Acqui Terme, Italy in November, 2017. Fifth to ninth places in the 9-man field were Michael Diedrick, Markland Douglas, Eton Chin, Terence Lindo and Frederick Cameron, respectively. The pairings, schedule and results can be found at the JCF’s website (www.jamchess.com) or on www.chess-results.com. The tournament is named in honour of WILLIAM ROPER, one of the founding fathers of the JCF and its first Secretary when it was formed in 1969. An Attorney-at-Law, he was also a former Principal of the Norman Manley Law School and died at 83 years old on July 19, 2014. It was a round-robin event over nine rounds at a time control of game in 90 minutes with increments of thirty seconds per move from the first move. It ran from August 5 to 20 with all nine rounds played at the JOA. 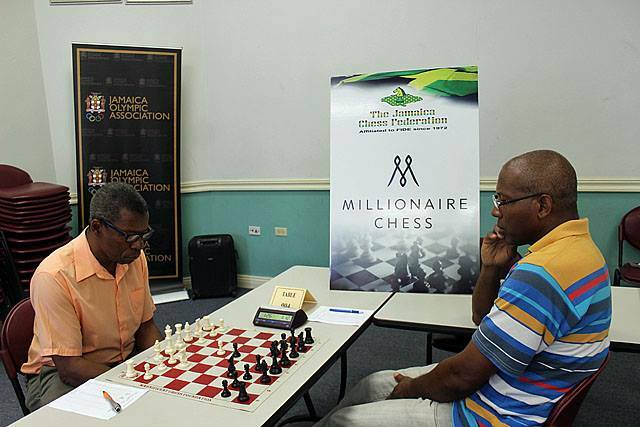 The event was sponsored by the Sports Development Foundation, the Kasparov Chess Foundation, the JOA and the JCF, respectively.